Choosing the right poker game depends more on your personality and less on the game itself. 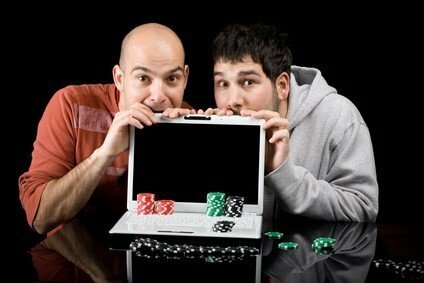 With that said, there are several factors to consider before picking a new poker game to focus on. Asking yourself the following questions can help you choose the right type of poker for you. If you like the adrenaline rush you get when making big decisions for big money, choosing a no-limit variant of poker is probably the best fit. No-limit Texas hold’em is the most popular and widely played poker game today and, depending on your table, you will have plenty of opportunities to bet big or make a big call for your whole stack. If you prefer to reduce your variance but still like the idea of big pots, you’ll likely prefer pot-limit games like Texas Hold’em and Omaha, which allow you to control the size of the pot because wagers are limited to no more than the current pot amount. If you are risk-averse and aren’t comfortable making decisions for large quantities of money, you should stick with fixed-limit games. Fixed-limit games limit the amount of money you can bet or raise and gives you the ability to play more without putting your bankroll at risk. Fixed-limits also have the widest variety of poker games to choose from including Texas Hold’em, Omaha Hi-low, 7-Card Stud and Razz to name a few. This is an odd question to ask about a game in which the object is literally to win money; however, valuing money in the poker world means something quite different than in the “real” world. If every decision you make at the poker table is influenced by the money pot and your wagers, go with a fixed-limit game. It’s important in poker that you’re able to put the value of money out of your mind and make decisions primarily based on the information you have gathered while playing. This can be difficult and if you haven’t acquired the skill yet, stay clear of no-limit poker. Do you like a lot of action? Action is a poker player’s drug of choice, but not everyone is cut out for excessive amounts. No-limit games offer more action and excitement, as players are put to the test for entire stacks on any street and in any hand. At the opposite end of the spectrum are fixed-limit games that are a bit more methodical. The type of poker game can also determine the level of activity. Games that use community cards tend to be more action-oriented because the card that comes on the river affects everyone’s hands while draw games tend to rely more on strategic decision making. When and where will you be playing? Another big factor in determining what type of poker is right for you is when and where you will be playing, as not all games are available at online casinos. Evaluate your playing schedule, and then monitor the games and see where the players are at different times of the day. It doesn’t do you any good to play a game that isn’t spread or doesn’t see a lot of action at the time when you are playing. What is the state of your bankroll? The state of your bankroll is another key consideration when choosing the type of poker to play. This will help determine the limits at which you play and will have an impact on your game selection. Having a healthy bankroll also alleviates some anxiety of making decisions for large sums of money. Playing with appropriate limits will open up your choice of games. Whether your goal is to make a living or just to have fun, the poker game you choose will have a big impact on your winnings as well as your enjoyment of the game. Regardless of your goal, no one sits down at the poker table and wants to lose. So picking games in which you have an edge is key. The problem is when you are new to the game you probably won’t have an edge, so remember your long-term goals and think of your initial time at the table as an investment. Blog Writer, Small Business Supporter, Social Addict, Poker Player, Martini Drinker and World Explorer. I Share Secrets of Better Business.